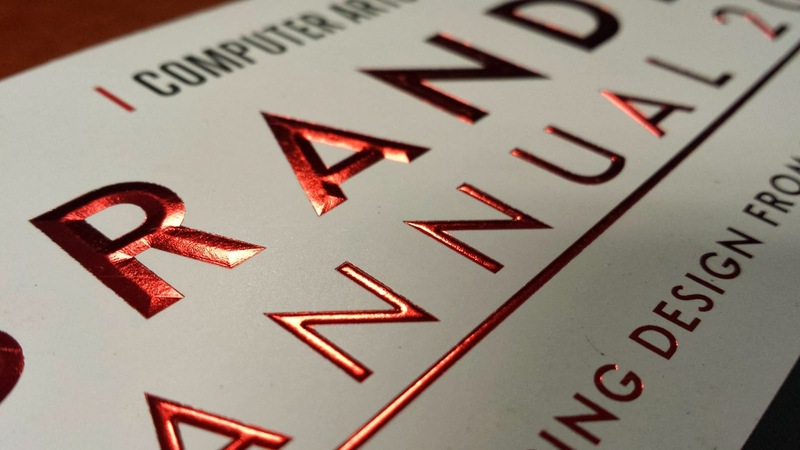 Fluted foil is applied with a 3D textured emboss with one pass. The foil die is created with a textured depth, which adds a raised dimension to the foil. Regular foiling is applied with a flat foil, but a fluted die allows for the foil to have a texture or raised effect. Does fluted foil cost more? There is an initial extra cost for the fluted die, after that the running costs for the job are the same as a standard foiling project. What kind of shapes can I make in the foil? You could raise the foil with straight edged or curved edges, a pattern can also be added to the foil. Examples can be found in the Cellofoil swatch. Where is fluted foil used? Fluted foil blocking can be used for any project, but it’s popular on magazine covers, greetings cards or company stationary.